One of the best-preserved streets in Kyoto is Ninen-zaka. A Starbucks just opened in the area, but you could walk by and not even know it. It looks like the only way you’d know it was a Starbucks is by the noren, or the curtain hanging out front, with the chain’s logo. Certain parts of Kyoto have strict regulations so as not to disturb the visual landscape. For example, vending machines are sometimes brown instead of starker colors like white or red. The second floor has some traditional Japanese cushions for sitting and enjoying coffee. 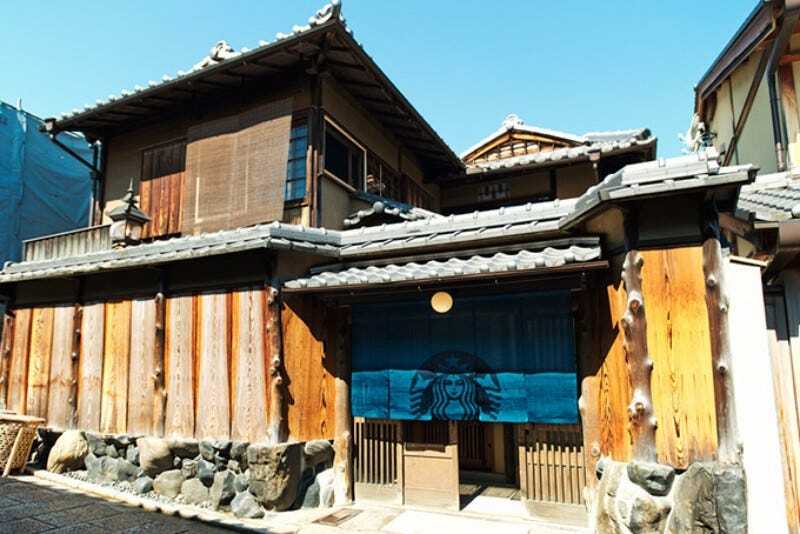 Japan—and Asia, in general—is home to several Starbucks that don’t look like Starbucks.